In a prior article on Time to Value, I pointed out that it’s critical to keep momentum going once the initial sales deal is closed and ensure that you aren’t diverging from your customer’s original path to reaching their objectives. Your Customer Engagement Model should, therefore, start at the time of sale in order to maintain momentum and achieve a first “quick win”. How is our customer measuring value? Are they achieving that value? Are we providing an experience that will result in loyalty and advocacy? The first key point of an engagement model is that it needs to work across two very different phases of the customer lifecycle, the Onboarding Phase and the Ongoing Usage Phase. The first phase, onboarding, is the much higher intensity, much more critical, and much more interactive of the two. I think of these two phases very much like the takeoff phase and the cruise phase of airplane flight. In the takeoff phase you’re in close proximity to the ground, there’s quite a bit at stake, it’s the phase where more incidents happen, and it generally requires a high degree of pilot focus. During the cruise phase of flight, it’s important that pilots monitor their instruments, ensure they’re on course, and pay attention to external factors. They can’t ignore that they’re flying an airplane during the cruise phase; however the workload, intensity, and immediate consequences are lower than during the take off phase. Pilot’s don’t need to give the airplane nearly as much of their attention during cruise as they do when they’re screaming down the runway, getting it airborne, dealing with heavy air traffic, and monitoring for even the slightest anomaly – which could have dire consequences if left unchecked. During cruise, a pilot can leave the cockpit to use the restroom. During takeoff, on the other hand… not so much. It creates a logical opportunity for both you and your customer to think about, articulate, and agree on how you’re going to measure value in the ongoing phase. In a “high-touch” customer engagement scenario, much of the onboarding phase may be done by a CSM or someone from the customer onboarding or training team. The customer needs to become familiar with your solution during this phase, and you need to ensure that they’re able to be self-sufficient when using it. A “low-touch” customer engagement scenario will have the same objective, but will achieve it more with automated marketing/email campaigns, automated measurement and exception handling of early adoption indicators, and automated training for the customer. In both the high and low touch models, it’s critical to measure early indicators of user adoption and determine what course corrections need to be applied. 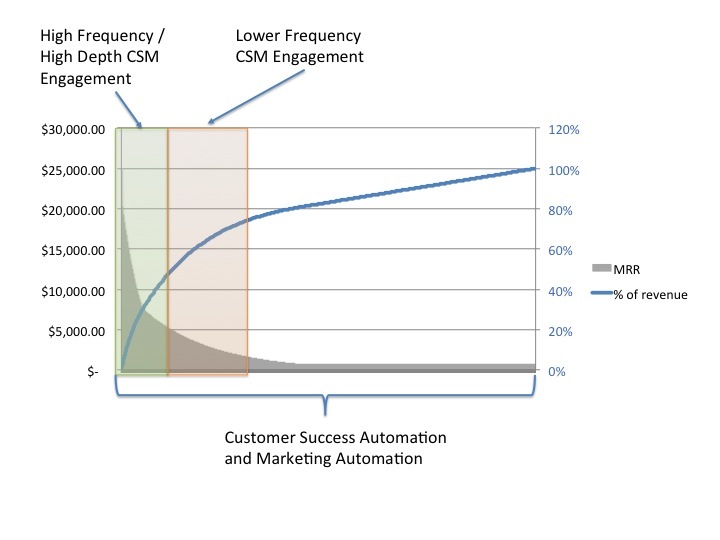 The method for measuring the indicators and for communicating to customers needs to be much more automated in the case of a low touch engagement model. In addition to ensuring adoption and self-sufficiency, the onboarding phase in a high touch B2B/Enterprise Solution world provides an opportunity for you to validate key assumptions with your customer on how they are going to measure value and how they’re going to quantify the success of their implementation of your solution. If your sales process is value based, you have probably already begun identifying use cases, measurements, and customer ROI expectations. You may very well have also quantified the expected ROI from adoption of your solution. The bad news is that too many companies don’t do any further measurement once the deal is closed. A good onboarding process not only ensures that a customer is adopting your product but positions you as a partner to help ensure they’re making progress against their stated objective. A formal review of the first set of metrics delivered by your solution. These should provide an indication of the customers adoption, usage, and effectiveness (how well they are doing x, not just that they are doing x). Once you have defined your Engagement Moments, measure the time that it takes each customer to progress from one to the other. Analyze your metrics and determine whether there are any systemic delays in any of your phases of onboarding and work quickly to get to root cause. I’ve had teams shave weeks off of implementation/onboarding by measuring individual phases, identifying root cause for the delays, and then fixing the process. Set escalation triggers if you don’t see adoption events occurring with your customers according to expected timeframes during the onboarding phase. If your customers haven’t created x accounts in y weeks for example, that should trigger proactive engagement on your part – in addition to the predefined moments in your plan. The focus of the Ongoing phase is to ensure that your customer is achieving the objectives identified in the Onboarding phase and that you’re keeping a pulse on their experience. Engagement Moments in this phase can be categorized into one of two types: 1) Time-based; or 2) Event-based. Time-based moments are ones that you can put on a calendar, such as a Quarterly Business Review, Monthly Metrics Review, Annual Account Review, or even Weekly Meetings for your highest of high-touch customers. Time-based moments are great ways to keep your customers interacting with you for the duration of the lifecycle – as long as you clearly set expectations and provide valuable feedback to them during those engagement points. If you aren’t continuously providing value to your customers during these moments, they’ll lose interest and stop attending regular calls/meetings, so be careful not to over-schedule them, and be sure to provide relevant engaging content in each of these engagements. Dan Steinman from Gainsight recently wrote an informative blog post characterizing a good Quarterly/Executive business review. Event-based moments are ones that are triggered by the occurrence of an event (or non-event in some cases), such as a customer logging a high-severity case with your Support Desk; a new product release from your company; a change in leadership or executive sponsorship at your customer; a poor or mediocre survey response; an absence of support cases over a defined period of time; a decrease in overall usage; or a decrease in key usage metrics from a given customer. The purpose of event-based triggers is to help you react quickly and appropriately to events that can influence the health of the customer relationship – for better or for worse. In either case, the sooner your team reacts to the event that triggered the engagement, the better off you’ll be. Customer Engagement Models are unique to companies, products, and customer types. An Engagement Model for an enterprise customer with a highly complex solution will look very different than one for a consumer with an off-the-shelf SaaS offering and both will engage different parts of the organization. 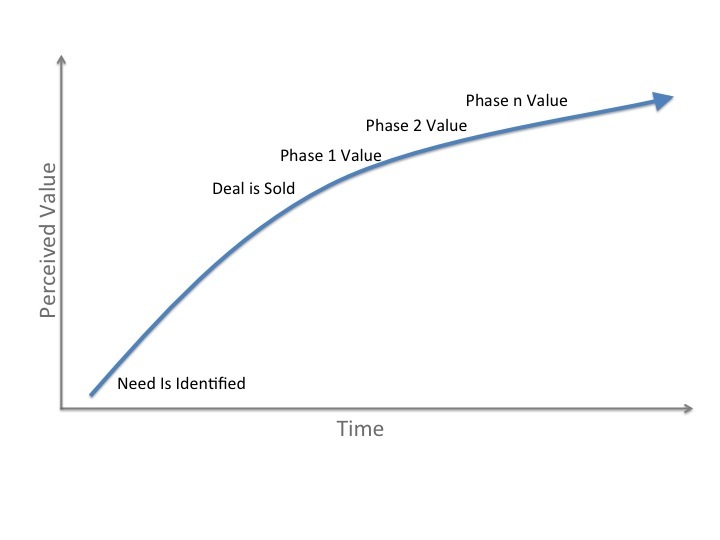 Logically breaking down that model into two key phases (Onboarding and Ongoing) and defining the Ongoing phase in a way that supports both Time and Event-based moments of engagement with customers should help you optimize for your products and customer types. You will likely end up with more than one engagement model for different customer segments. Have you employed a Customer Engagement Model and what methods or tools have you used to ensure that the model is consistently applied across your customer base? As the old saying goes: “You only have one chance to make a first impression”. If you want to increase the likelihood of success for the deployment and adoption of software, you need to make that first impression while your customer is still excited about their purchase decision. It holds true for enterprise software, B2C software, and everything in between, even though complexity and timeframes differ for each of those categories. In the world of SaaS, the post-sale journey to adoption and value can make or break a company. It should really be a much smoother and consistent curve of increased value demonstration (with aligned customer expectations) over time. 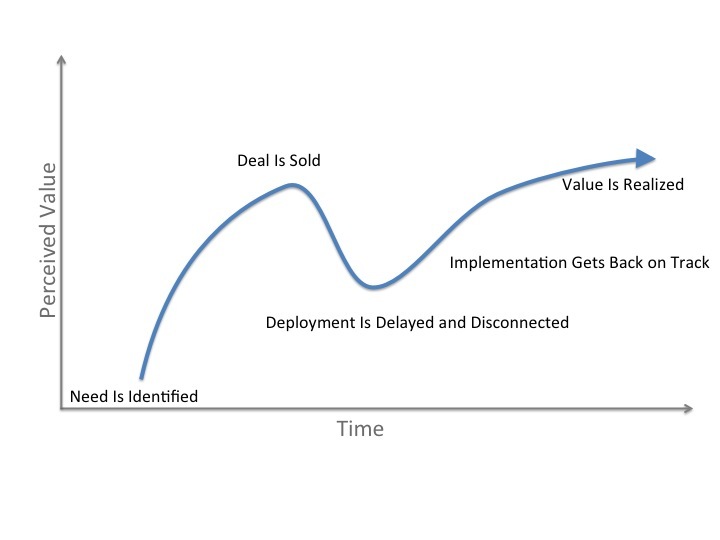 So how do you minimize time to value (TTV) for your customers, manage their expectations through the deployment cycle, and avoid the equivalent of the “trough of disillusionment”? Even for a single given solution, different customers may measure value in different ways, so it’s important to connect with them to understand their specific objectives that will justify the time, effort, and funding they’re allocating to your solution. You’re getting their resources because you can solve a problem for them. Figure out how they’re justifying their investment in your solution and use the same currency to measure value. Even if your solution can provide an order of magnitude return on investment, don’t try to get there all at once. Provide quick wins for your customers by phasing your deployment. Don’t try to deploy to the entire enterprise (or market) at once. Pick a department or small, logical group, where you can prove adoption and value, then continue to move forward with the additional momentum you’ve created from the internal user base you just identified. Your objective should be to get a customer advocate/thought leader to stand up in under 60 days and say “look at the value we’ve gotten from this solution. We need to roll this out to a broader group.” If your strategy is to land and expand, understand that you haven’t really landed until you’ve proven value. Providing quick wins not only keeps the momentum going, but it also provides a healthy deployment model where you’re interacting with your customer on a frequent basis and continuously validating that you’re proceeding according to plan. Without frequent checkpoints, customer expectations and deployment realities can diverge quickly. The most common reason I’ve seen behind runaway or at-risk projects has been this disconnect between expectations and reality due to inadequate interaction and communication. The longer the time period between conceptual agreement and validation, the higher the likelihood that the end result will not be what the customer expected. Improving Time To Value will increase your chances of success. Step 3: Execute and Manage(!) according to that plan. This one might seem obvious, but execution is key. If deliverables aren’t met, understand why… and quickly. Break your implementation process into stages and understand which of the stages are creating friction/delays. In many cases, if you’re suffering from slow deployments, it’s primarily because of one or two key aspects of your implementation process, not all of them. Even in cases where the entire process needs work, by breaking it down into stages and seeing which of the stages are causing the biggest problems, you can quickly understand how to prioritize your activities around improving the deployment process. Customer Success requires constant iteration, listening, and learning from your customers. In some cases, implementation delays are seemingly due to lack of responsiveness or loss of momentum on the part of your customers. Re-think this problem and see if there’s a way that you can restructure the deployment process so that you’re being more prescriptive for your customers and not requiring them to do things that take so much time and effort. I recently came across one example with a company that provided configuration options for custom reports in their new social analytics product. As part of their implementation process, they would ask customers to provide them with the top 4 items they wanted to see in their custom reports. Enterprise customers would iterate for weeks trying to get internal consensus on those 4 items, delaying the deployment, and delaying the time to value for customers. The solution: create 4 prescribed reports as defined by the implementation consultant, based on their knowledge of the customer as part of Phase 1 deployment; then allow the customer to modify those reports in Phase 2. Good social networking and B2C companies really get the importance of Time To Value. They’ve sped up adoption and reduced time to value by implementing sign-up wizards as part of the enrollment process. By the time a new customer has finished creating a new account on Facebook, LinkedIn, or Instagram, they’ve been prompted to import contacts from their address book or other social networks in order to be positioned to get value immediately. In a previous life I ran deployments for an enterprise social networking technology and as part of our implementation process, we “bootstrapped” user accounts so that every user had profiles built on Day 1 that incorporated expertise from their previous 90 days of activity. Look at your implementation process to determine whether there are any similar opportunities to prescribe/recommend configuration options to your customers or speed system readiness for your customers. Momentum is incredibly powerful. By optimizing your deployments for Time To Value, you can maintain, and even increase that momentum to create successful, loyal customer relationships. That, in turn, will lead to a shorter TTR (Time To Reference) …but that’s a whole other metric! Brian Ascher, a partner at Venrock, wrote a great blog post a while back about how the waterfall model may be the “single best financial reporting tool ever”. That might actually have been an understatement. I highly recommend reading his post, by the way, if you aren’t familiar with a waterfall model and want a good primer as well as the example spreadsheet below. In a nutshell, a waterfall model allows you to lay out your projections over a period of time (monthly numbers over a one year period; weekly numbers over a year, or daily numbers over a month, for example) and at the end of every period, compare your actuals to your projections then revise your estimates for the periods moving forward based on what you’ve learned. The waterfall model doesn’t provide you with all the answers; however, it gives you a good idea of how you’re doing with respect to your original and revised plans and as a result, figure out what additional questions you need to ask yourself to understand why. It’s an incredibly powerful tool given its relative simplicity. A waterfall model enforces management to a plan. The interim checkpoints, by nature, hold you accountable to that plan, and if there is a variance, force you to do three things: 1) Acknowledge the variance. If you set up your waterfall model correctly, the interim periods you define should be frequent enough to allow you to take action while there is time to impact the outcome; 2) Ask why there is a variance; and 3) Re-plan the future periods given what you now know. Planning, or more precisely, getting a plan right, is an ongoing process. People make plans based on assumptions. Managing an existing customer base can be tricky, and having frequent enough visibility into key metrics in order to take meaningful action allows you to challenge your assumptions with enough time to take meaningful action. One important point to clarify here: This isn’t an opportunity to make excuses for why you didn’t hit your numbers. This is an opportunity for you to understand what you need to do differently to improve your performance (while there’s still time) and create more accurate plans and forecasts in the future. If you do need to re-plan, the waterfall still allows you to measure against your original plan and your revised plan. Growth is great. Improvements in key metrics are great. In order to run a business and plan/manage it successfully, though, you also need some predictability. Waterfalls provide you with a historical snapshot of how well you did delivering to plan. You always have historical information on your original plan, your re-plan, and your actual performance for each measurable period – in one table. It’s a simple, yet very effective visual tool. If you ended up growing up-sell revenue 25% quarter over quarter is that good? What if your original plan was to grow at 30% QoQ? I recently blogged about the many Customer Success Automation solutions coming to market to help companies manage a SaaS customer base more effectively. Whether you’re using one of these products or whether you’re just starting to get your head around managing your customer base, it’s very valuable to understand which of the data elements and assumptions you’re using to identify “healthy/reference customers” or “at risk customers” are accurate, and which ones require you to go back and think again. 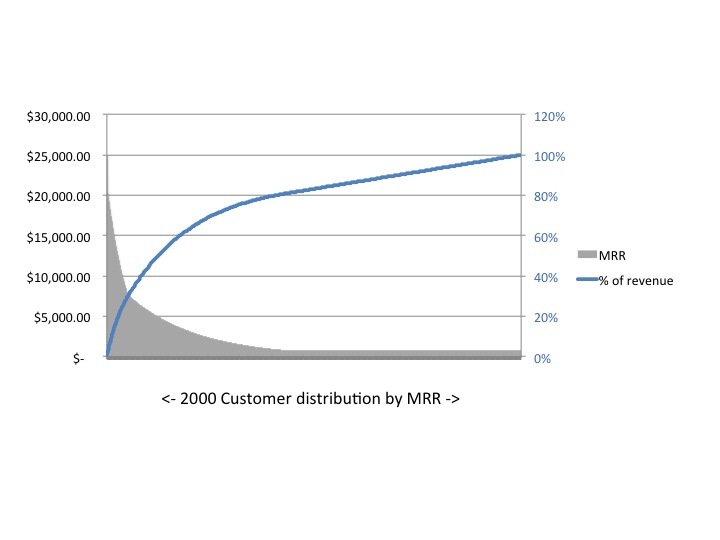 A team of mine once needed to forecast churn risk from the existing customer base and had very little valid historical information from which we could create projections. We started by looking at customers using broad-stroke definitions of various health levels. We assigned customers a “health status” of Red, Orange, Yellow, and Green, then based on their contract renewal month, assigned a probability of renewal based on that health status. We eventually began adding criteria to more clearly define health status, including usage metrics (not just frequency of logins, but how effectively were they using the system), customer responsiveness, and other indicators of risk associated with their business and usage model. We looked at our first months data and saw where we were off, then went back to our assumptions and looked at where we might possibly have miscategorized customers. We also looked at whether our percentage ratios by health status were accurate (for example, did x% of our “orange” customers actually cancel). We gradually increased our sophistication level as we gathered more data and continued to refine our assumptions in our waterfall model. 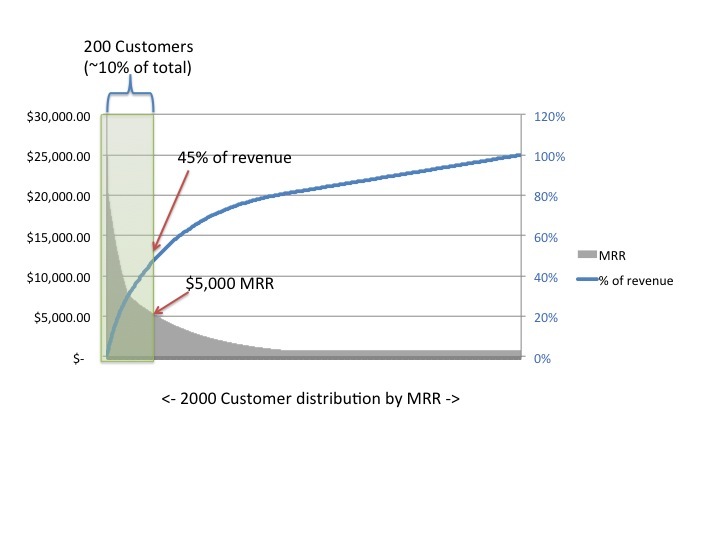 By the end of our first full year of deploying the model, we were within 5% accuracy forecasting revenue retention and churn. Pretty much any key metric you want to track and measure against can be managed using a waterfall model. You may want to start with a couple of the ones above, then determine if tracking others will be useful. Just be ready to dig into the underlying data to ask “why” the variances are occurring… and keep asking “why?” until you see patterns emerge. Then act. The Concept is straightforward. As a provider of a solution, you should be doing more than just throwing software over the transom to your users. In fact, as a SaaS provider, you need to be proving value to them on an ongoing basis. That’s today’s reality. If you don’t, you risk losing your customers to competitors who will. Harsh, but true. Providing a framework for mapping your customers’ progress, comparing their behavior (and results) to “best in class” companies, and showing a path of progress to best practices will help your customers remain engaged with you. The idea isn’t new. 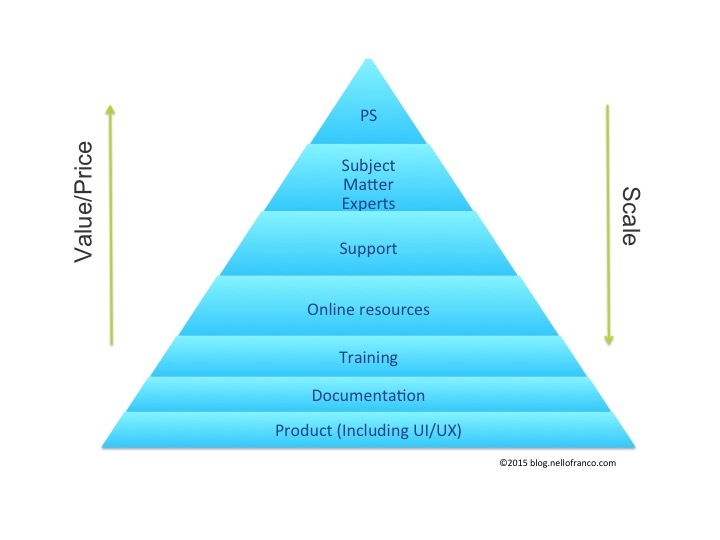 The “Maturity Model” concept has been around for years in a heavier weight format, and while more complex models and engagement levels apply in B2B, B2C solutions can also benefit from defined models that encourage additional types of usage and provide your customers with a roadmap to become more effective at using your product. 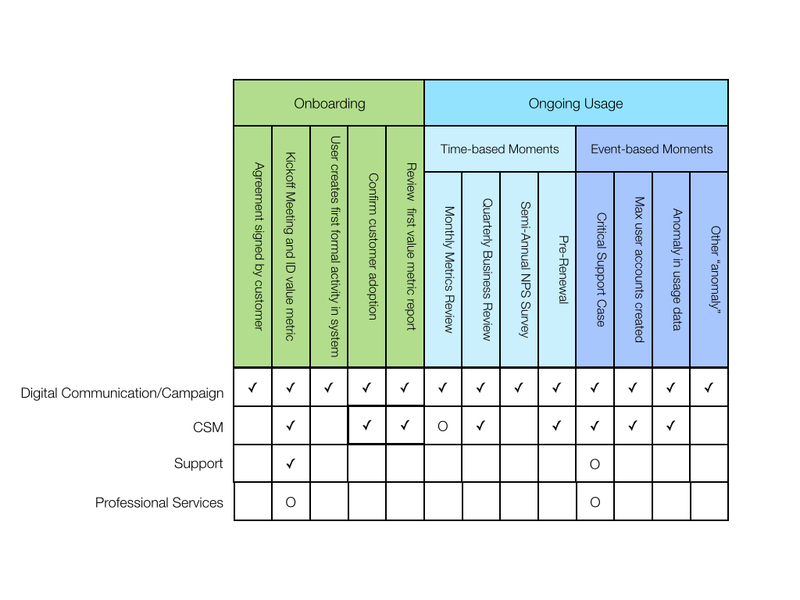 In the image above, each box represents a stage in an example Effectiveness Model for CRM. The bullet points next to the boxes each represent behaviors representative of each phase. The process of creating a maturity model for your industry and solution isn’t complicated, but it isn’t just something you can churn out quickly without some careful thought. Identify 3-5 phases that are indicative of customers’ implementation of your technology. You may want to start with the bookends. For your first phase, identify the basics that someone absolutely needs to implement in order to get value from your application. For your last phase, identify what the absolute, best-in-breed, thought leaders who have, or will implement, your type of technology are doing. Then map out 1-3 interim phases that are indicative of how companies would progress through the phases. 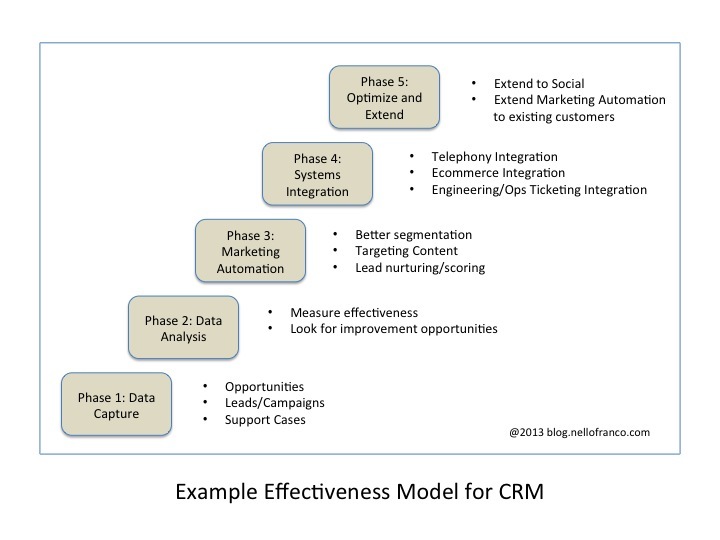 The CRM Effectiveness Model I put together above is an example of what that might look like. The concept is simple. Getting it right, however, will take iterations, critical review, and more iterations. While “The Industry” has traditionally referred to models like this as Maturity Models, I’ve stopped using that term in customer interactions and internally. I was once in a meeting with a large, strategic enterprise customer and presented the concept of a “Maturity Model” that my team and I had created. I thought nothing of it for a split-second, as these types of things had been called Maturity Models for years. My team and I had spent a good amount of time developing and iterating on a model specific to my company’s industry and showed them characteristics of “mature” vs “less mature” companies. As I listened to the words come out of my mouth, however, and observed my customer’s body language, I realized that the term “maturity” sounded arrogant and condescending. From that point on, I’ve referred to these as Effectiveness Models given that we’re simply trying to make our customers more effective. It’s ok for me to use the term “maturity” when talking to my kids about assuming more responsibility as they get older. It isn’t ok for me to imply to my customers that they are immature because they aren’t using automation and deep analytics. Trusted advisor trumps arrogant vendor. Every time. Your customers are busy. They’re struggling with priorities just as you are. Whether you know/like it or not, you’re competing for their attention every time you reach out to contact them. I think any customer facing team needs to be aware of two golden rules: 1) Make sure the customer goes in to the call looking forward to getting value from their interaction with you; and 2) Make sure you’ve delivered that value by the end of the interaction so that they are looking forward to their next meeting with you. An Effectiveness Model sets you up for success. Your conversations with your customers are framed around objectives that you’ve set out with them. Your standing meetings and conversations with them can then be framed around what they’re doing (and how you can help them) to make progress. 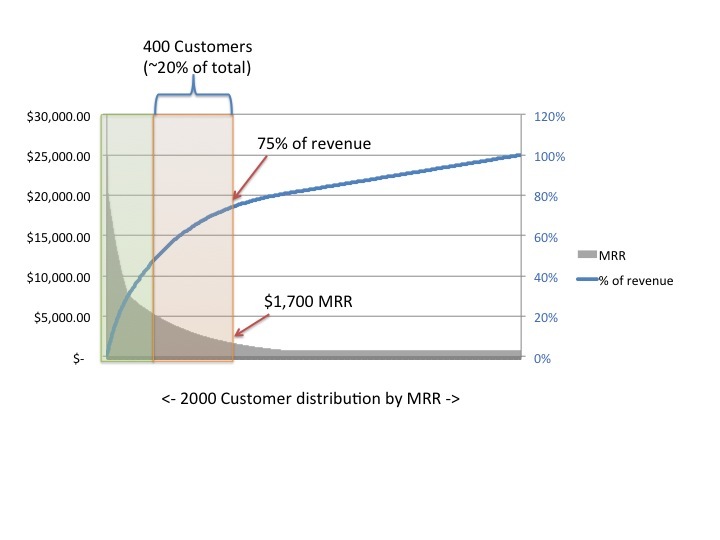 There’s always a need to justify ROI, and to the extent you can do it with hard data, by all means, continue to do so in a way that is meaningful to your customers: Point out how many transactions they’ve performed in your system; if there’s a way of quantifying end objectives, like e-commerce transactions that have resulted from use of your application, then be sure to communicate those. In addition to those concrete numbers, or in cases where the concrete numbers are difficult to capture, it’s important to show your customers progress towards stated objectives. The Effectiveness Model provides a picture and path with clearly defined behaviors and objectives to map that progress. You can use this as a way to both map progress over time as well as identify activities and strategies to achieve the next phase of Effectiveness. Demonstrable progress, together, is a great foundation for a loyalty-based relationship. As you create your industry/company’s specific Effectiveness Model, you have an opportunity to define how key features in your product can help your customers advance along the model. Be extremely careful, however, to avoid being overly self-promotional here or to “force-fit” your features into the model. An Effectiveness Model is just a tool to help advance a trust-based relationship with your customer. The model needs to be genuine and in your customers’ best interests. The reality is that if you have a great product and if you understand your customers, you can make some wonderful, insightful recommendations for them that will provide them with significant benefits, increase their use of your product, and make them more loyal in the process. If you’ve been using an Effectiveness Model with your customers, I’d be interested in hearing about your learnings and feedback from them. If not, what have been your obstacles to developing one? Send me a dm on Twitter: @nfranco. Thanks!